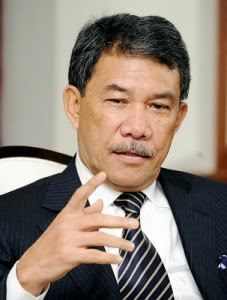 SEREMBAN: Housing developers in the state undertaking projects of two hectares or less are not required to build affordable houses worth RM80,000 per unit as stipulated in the Negeri Sembilan housing policy. Mentri Besar Datuk Seri Mohamad Hasan said under the policy, 15% of affordable houses must not exceed RM80,000, another 15% are allocated for RM250,000 and below and 20% for houses not exceeding RM400,000. "We have discussed with Negeri Sembilan housing associations that those developing land of two hectares or less are not required to build affordable houses worth RM80,000 and the bumiputera quota is 30%, not 50%," he said. He was replying to a question from Chai Tong Chai (PKR-Chuah) at the Negeri Sembilan state legislative assembly sitting here today. Mohamad, who is alslo Rantau assemblyman, said the flexibility given by the state government was well received and adopted by the developers, which enabled the system to be streamlined properly. Meanwhile replying to Mohd Razi Mohd Ali (BN-Sungai Lui) on the government's efforts to deal with the cost of living in the state, he said several approaches taken by the government included not raising the assessment rates and water tarrifs. "In a country that has efficient public transport, the people need not buy cars, can stay far away from the towns," he said as an example on how to deal with the high living costs.